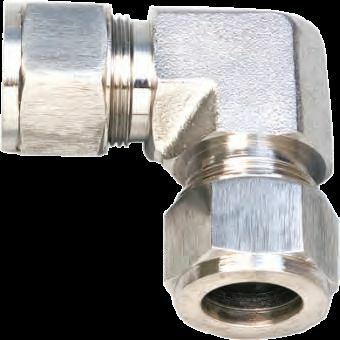 Pipe Union Elbow comes equipped with two ferrules and silver plated nuts. This product is supplied and exported by us from Singapore. It belongs to the KIF-10 Series and the material used in it is of superior quality. Usually we make use of AISI 316 Stainless Steel for the formation of Pipe Union Elbow. It has body dimensions of 1/8” to 1” & 3 mm to 25 mm.